Keep Your Home Safe This Winter - Duane Weber Insurance, Inc.
Take these precautions around your home to protect against winter liability risks. As a homeowner, you are always subject to a certain amount of liability risk. However, during the winter months, the chances of an accident taking place on your property increase considerably. Take these steps around your home to reduce your chances of a personal liability claim this season. 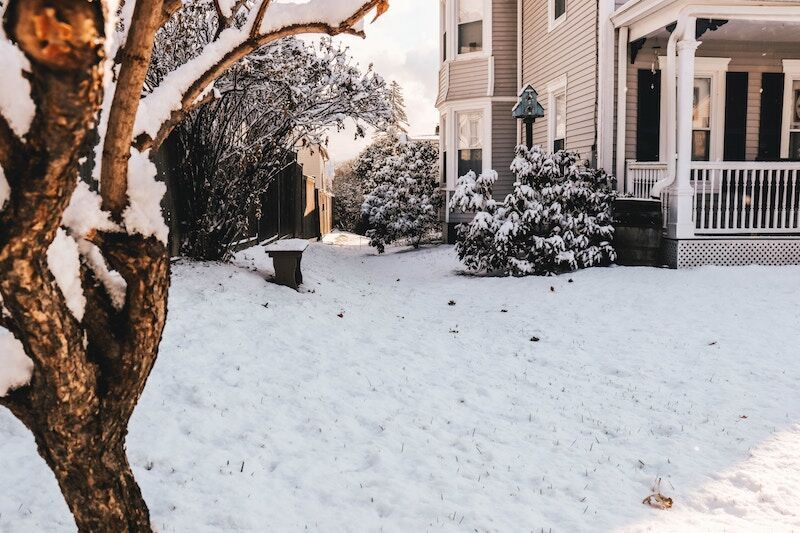 While Washington doesn’t get a lot of snow, the ice and small accumulations of snow that settle on your home’s walkways pose a significant risk to third-parties. To reduce the chances of someone slipping and injuring themselves on your property this winter, make sure you clear away the snow that settles on your driveway and the walkways leading up to your front door. Additionally, keep an eye out for the ice that can form on your property. Make sure you salt your front yard or use other methods to remove ice and keep winter visitors safe. During the winter months, the residents of Washington know just how cold, rainy, and windy conditions can get. Unfortunately, this bad weather can wreak havoc on the trees on your property. In some cases, the weather can actually cause full limbs to fall. In this case, the falling branch could result in serious injuries or property damages that you would be held responsible for. To reduce this major liability risk, it’s important that you do some serious tree trimming this winter. Cut away all the branches that hang over your driveways, walkways, and your neighbors’ property. This way you can ensure that falling branches don’t pose serious personal liability threats to you. These are two of the precautions you should take to reduce your personal liability risk this winter. Want another way to protect yourself this season? Secure the right personal insurance coverage from the experts at Duane Weber Insurance, Inc. in Kent, Washington. Contact us today for assistance with all your coverage needs.